The Supreme Leader’s office launched another Twitter offensive on Thursday about Iran’s nuclear talks with the 5+1 Powers — but does this point to Ayatollah Khamenei’s desire for an agreement? Facing a deadline of November 24 for a comprehensive nuclear agreement, Iran and the 5+1 Powers resume talks in Vienna next Tuesday. 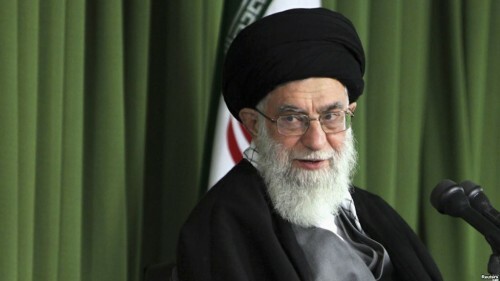 The narrative of Ayatollah Khamenei’s office on weapons of mass destruction complements the long-standing assurance by the Supreme Leader that he issued a fatwa in 2005 banning possession of the atomic bomb. The Supreme Leader’s office has switched between endorsement of the nuclear talks and denunciation of the US this week.